This year's batch of Hoshigaki Persimmons are finished. They have a beautiful sugar bloom on the outside, a rich texture and intense persimmon flavor accentuated by a few days of wild fire smoke. Yulanda has been featuring the air dried persimmons with acorns and chocolate on the Taste of Big Sur Menu. She is not the only fan of Hoshigaki Persimmons; for the last month we have noticed that every few days a persimmon would go missing with only a piece of ragged stem left dangling from the twine. 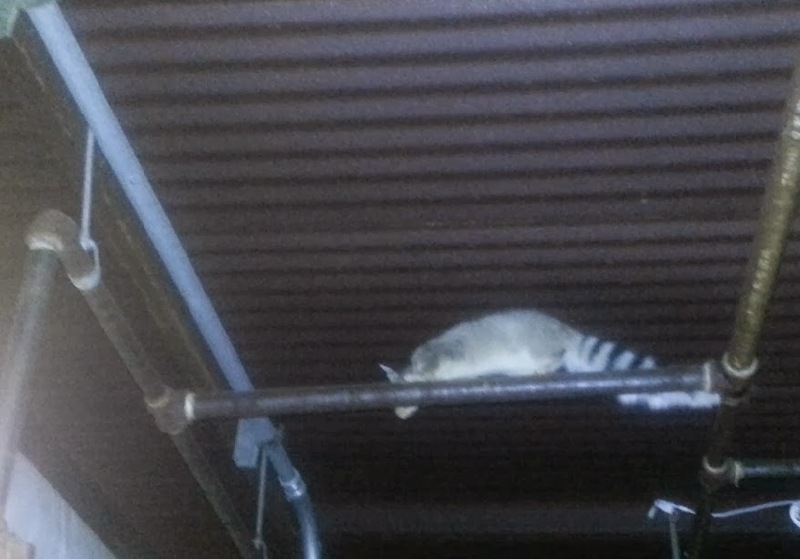 Late one night, someone finally caught the thief in action. 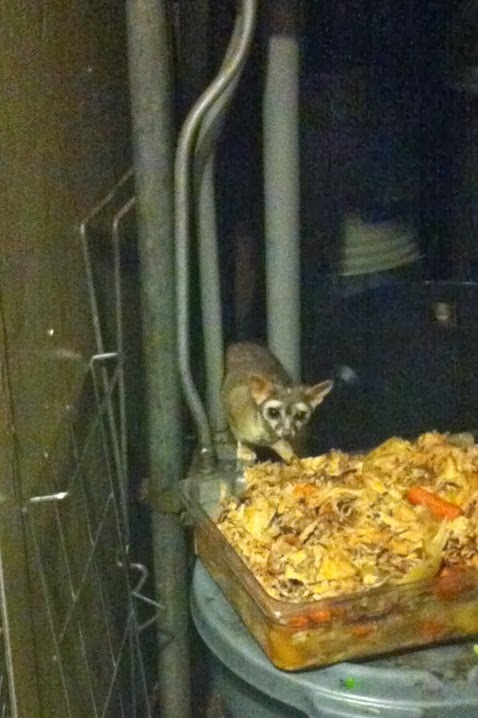 It turns out ring tailed cats have quite a sweet tooth and at least one was enjoying our persimmon buffet. Now that the persimmons have been removed, it has moved on to other urban grazing, and was sighted yesterday picking up some chicken bones discarded from a batch of stock. Thanks to Quinn and Sterling for the two pictures!